Curved frame for 4" X 6" photo. Dig through your scrap bin for a couple pieces of wood. 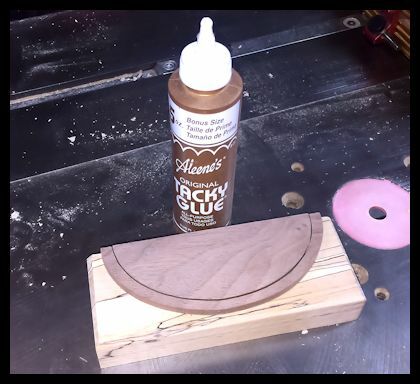 This project won't use much wood and it will only require two cuts on the scroll saw. I don't get much easier than this. 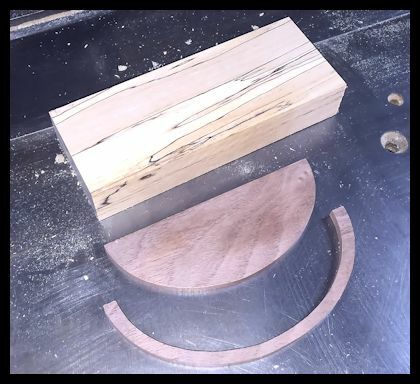 Simply cut the pieces and get ready to glue it up. When you glue on the outer ring make sure you maintain a small gap for the photo. The outer will likely close up slightly after it is cut. Glue on the inner ring first and let it set. If needed slightly spread the outer ring being careful not to break it. Glue it on and use clamps to maintain the gap. If the photo splays out at the top after it is installed then remove it and gently roll it up for a few seconds. After you reinsert it the splay should be minimized. 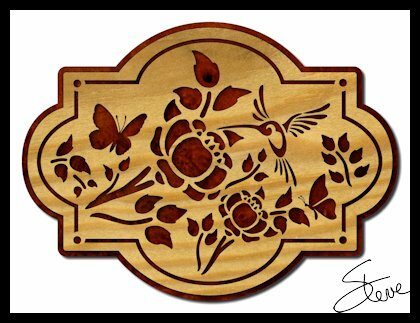 Hummingbird Art Scroll Saw Pattern. Another Toy Chest Build. 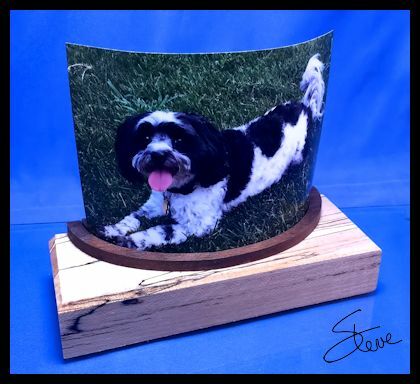 This plaque is a little over 10 inches wide and 7.5 inches tall. Every time a child in our family has their first birthday I build a toy chest for them. One of our great nieces is having her first birthday this Sunday. I always enjoy coming up with something a little different for each one. I have been building the chest this week and almost have it finished. It still needs another coat of paint and I'm still designing the ornamentation. When these events come up my wife always gives me the order to make the toy box. Every time I grumble and moan about all the work they take. It makes a total mess out of the shop and usually takes me a full week to complete. Then after I get started I remember how much fun it is to build a larger project. Especially one that will belong to someone in the family. Building something is fun. Building something for someone you care about takes the fun to a whole new level. Of course you are always a little nervous that it won't come out as well as you hoped. There are always little details that you see wrong that others will not even notice. By the way. I had to put the Spider Scare Box plans on hold so I could get this toy chest finished. I promise that I will eventually get them completed.